Mine is going okay, but I am still playing catch up after being out sick on Thursday. Those who follow along on Instagram saw that Bryce and I spend the day in Charlottesville on Sunday. Between the start of school for me and lots of September work travel for him, it felt like we barely saw each other during the month of September and had spent little quality time just the two of us. 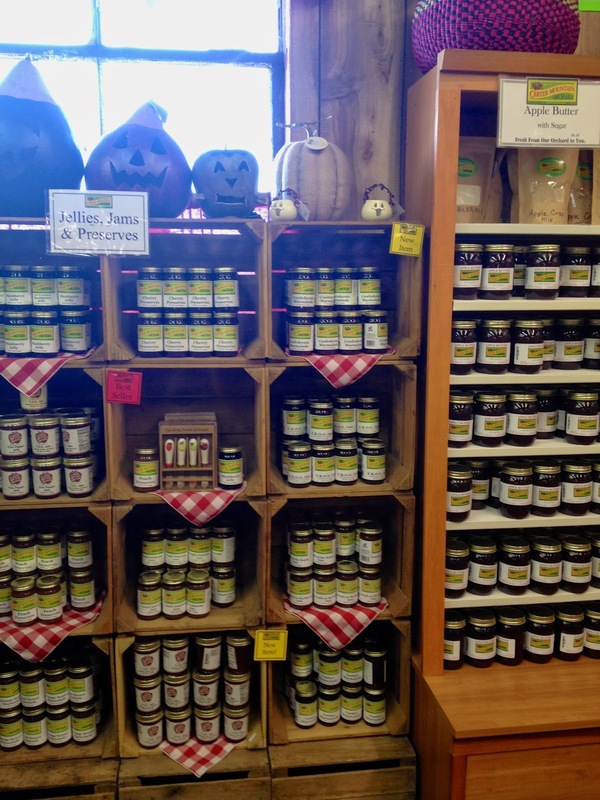 We decided a special day was in order and headed to Carter Mountain Orchard early Sunday afternoon. 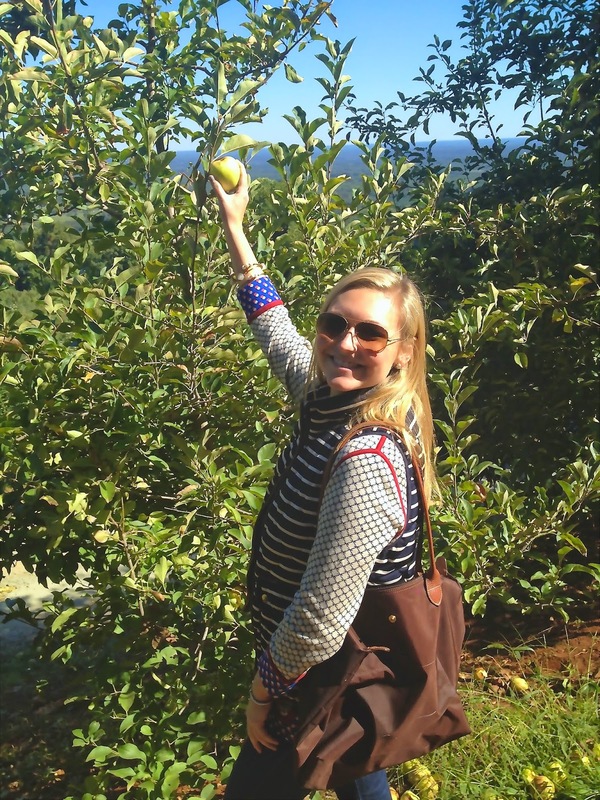 Neither of us had ever been apple picking before and it was definitely on the bucket list! 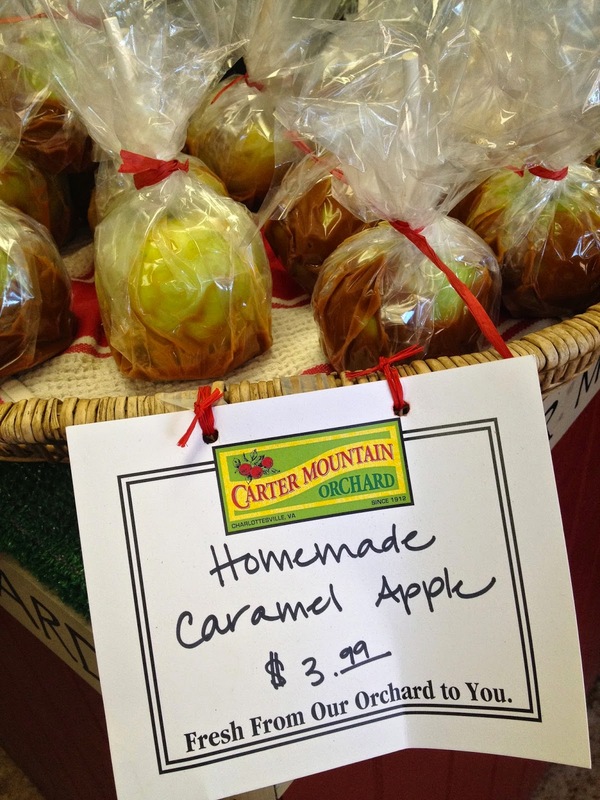 Apples of all varieties grow all along the side of the mountain. As we first walked along, this was all we saw: Lots of apples up high and out of reach. 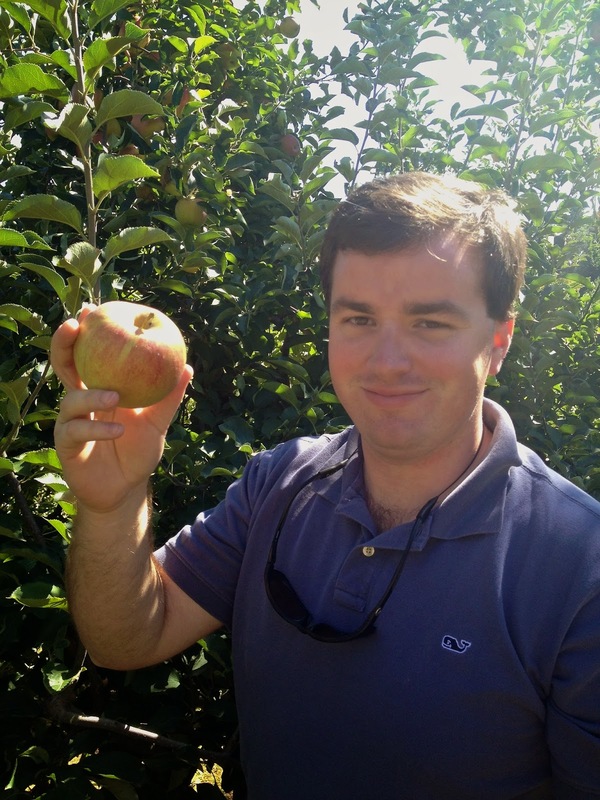 I'll admit, we even snapped this pretend picking picture, for fear we wouldn't find a single apple to pick! Eventually, however, we struck gold! 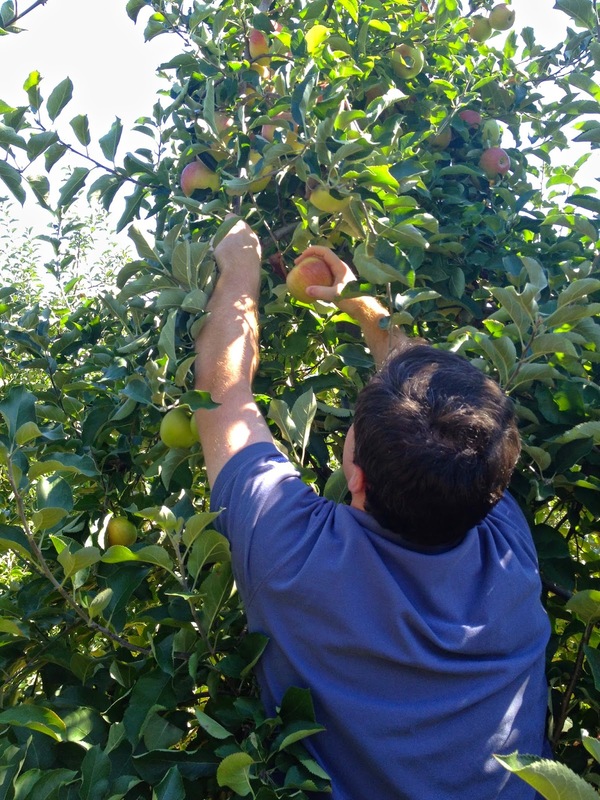 Bryce found a Jonagold tree with lots of ripe apples ready for picking! The apples were juicy and delicious! I even managed to get a few that were down a little lower! 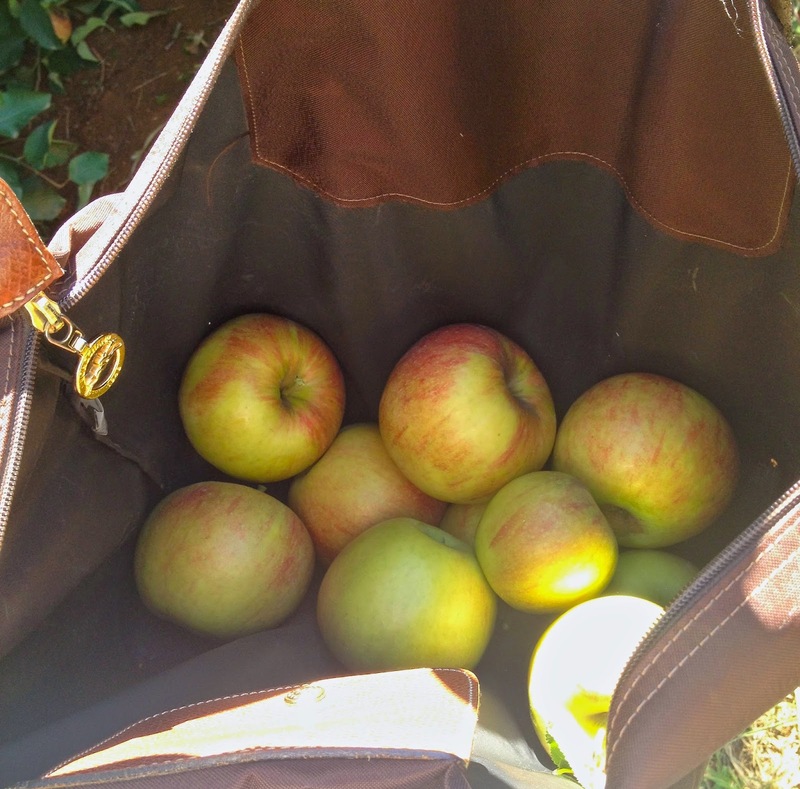 My Longchamp proved to be the perfect apple picking tote! 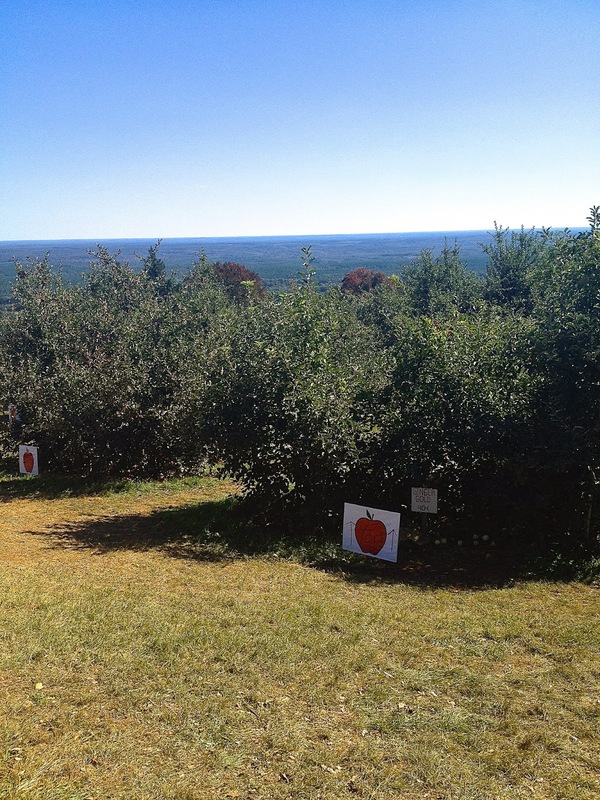 After picking some apples, we headed back up to the mountain to feast on some apple cider donuts! The line was long, but the donuts proved to be worth the wait! Not gonna lie, I said I only wanted 1, but ended up eating 3! They were so good and now I'm craving another as I write! 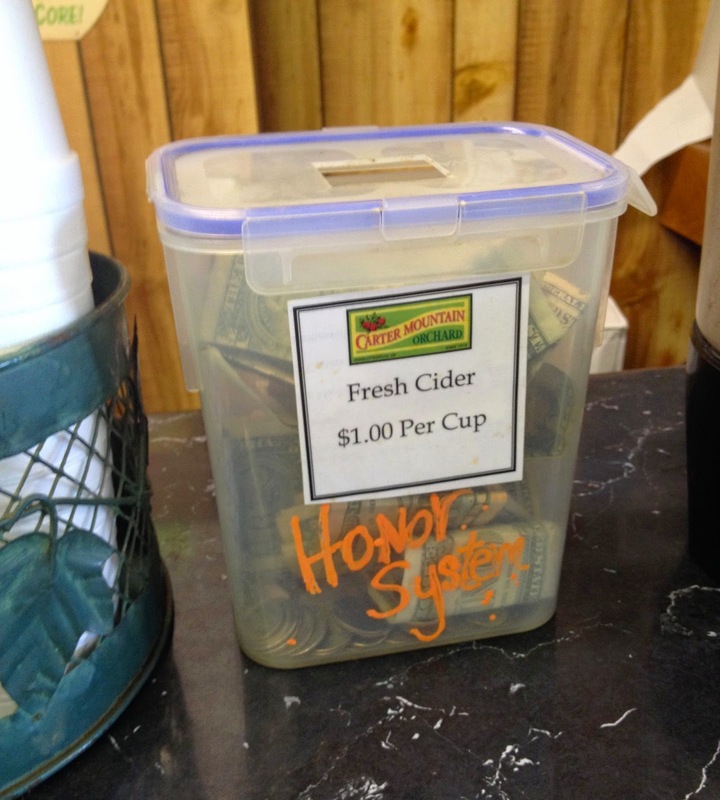 It was obvious we were in Wahoo territory with an "Honor System" cider station! I wish I had tried this Donut Peach Cider! 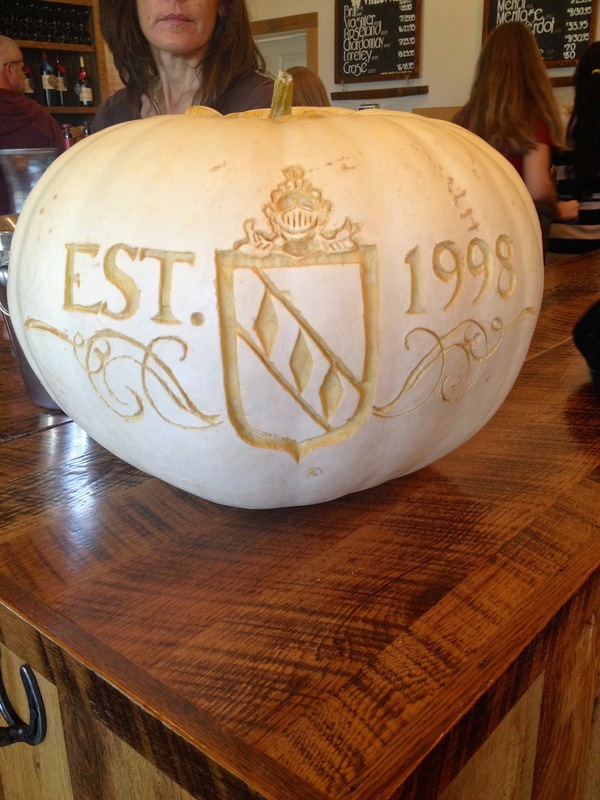 After stuffing our faces on donuts, we made our way to King Family Vineyards. King Family is one of my absolute favorites because of the gorgeous views and polo fields. 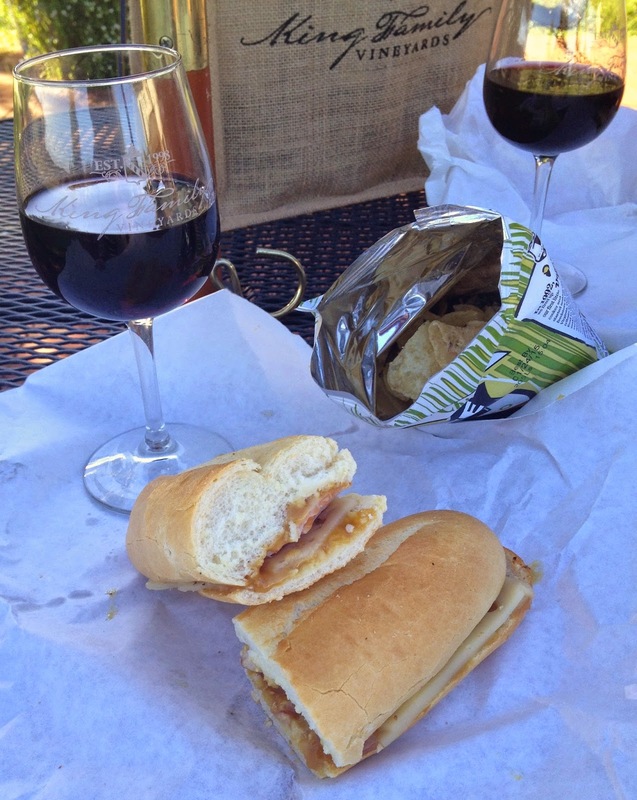 And ended with my favorite, a Bellair Market picnic. 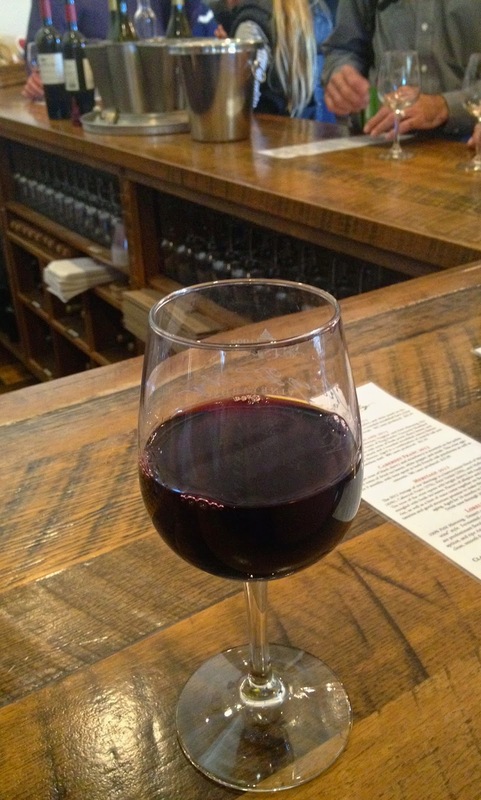 I sipped on the Merlot and Bryce had a glass of the Meritage. It couldn't have been a more perfect day and we rode home feeling content and renewed! 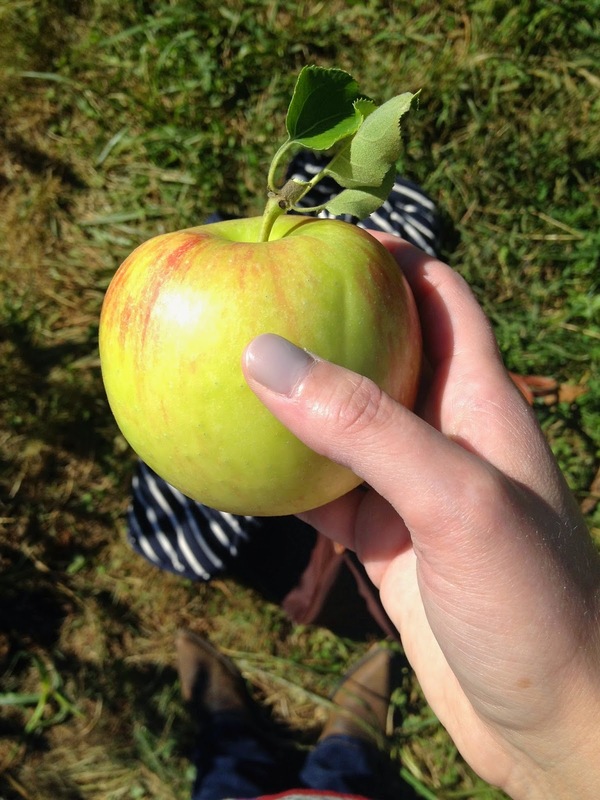 Have you ever been apple picking or wine tasting? 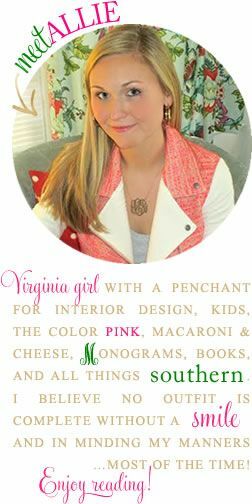 Love this post-makes me miss Charlottesville! 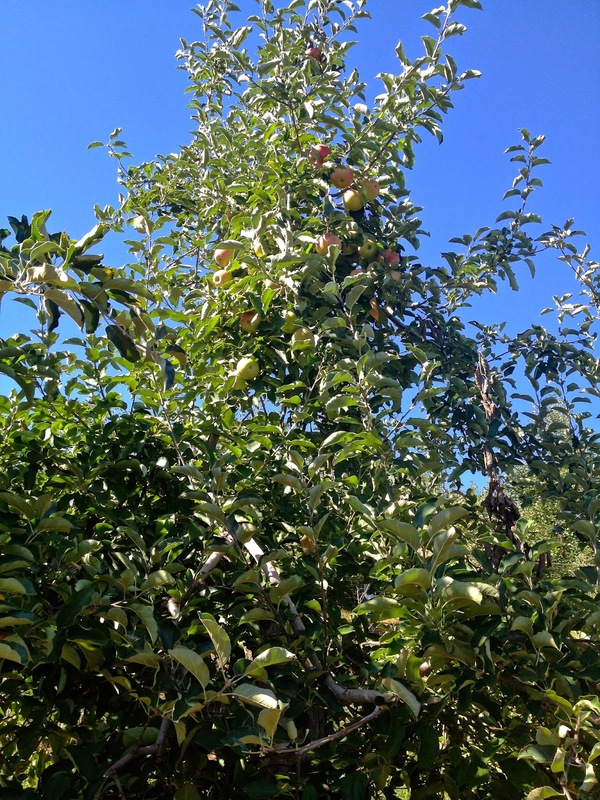 I went apple picking there my fourth year and had so much fun. 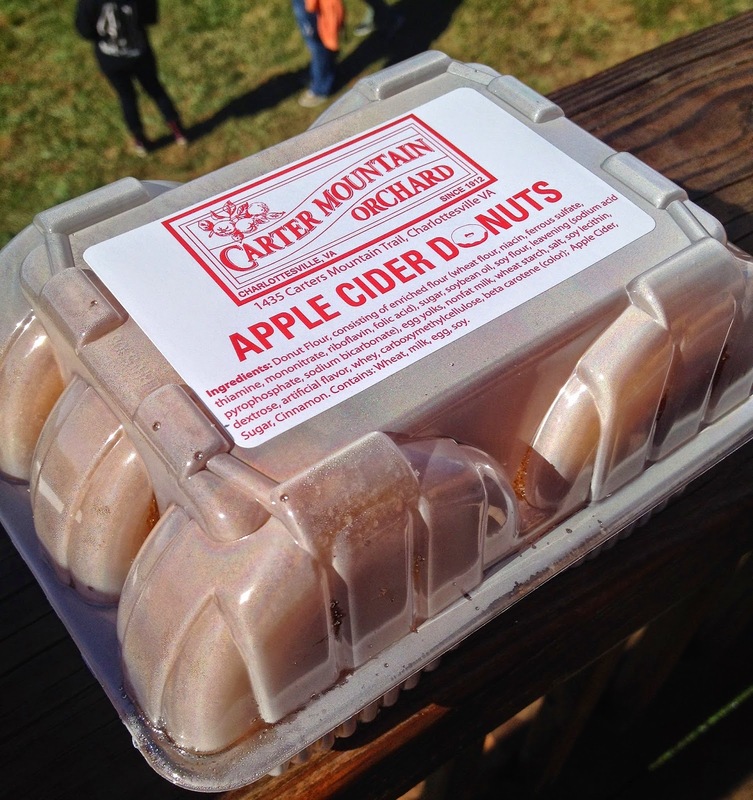 Carter's Mountain is one of my favs and those cider donuts are totally delish!!! No way can you eat just one! This sounds like such a perfect fall day!! 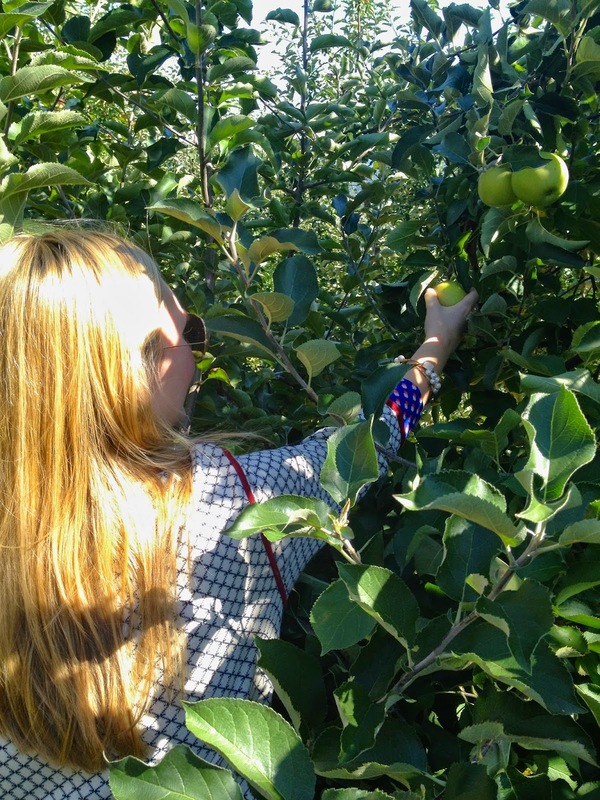 I used to love going apple picking with my family, and loveee those apple cider donuts! Carter Mountain is so fun! 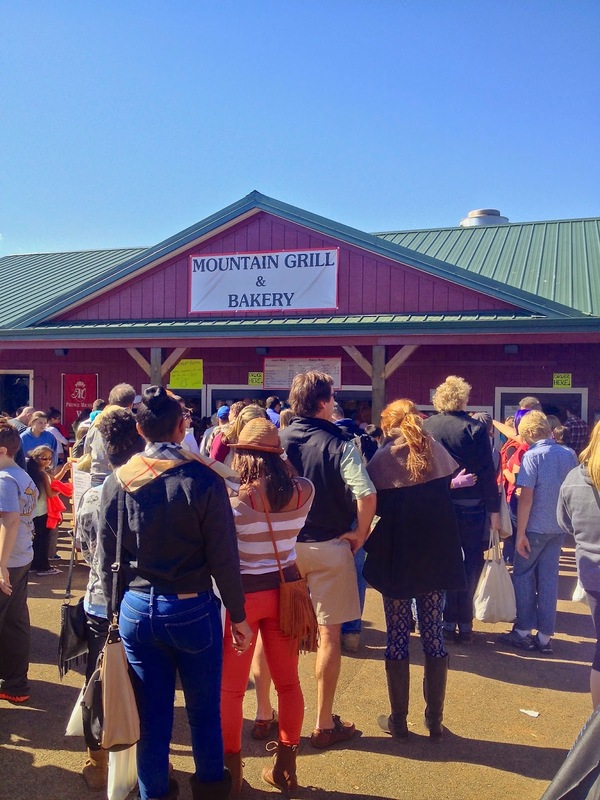 I've been there a couple times, and those apple cider donuts are to die for! I'm also a huge fan of wine tasting. I'll have to check out that winery! So glad you had a great weekend! What a fun Sunday!! 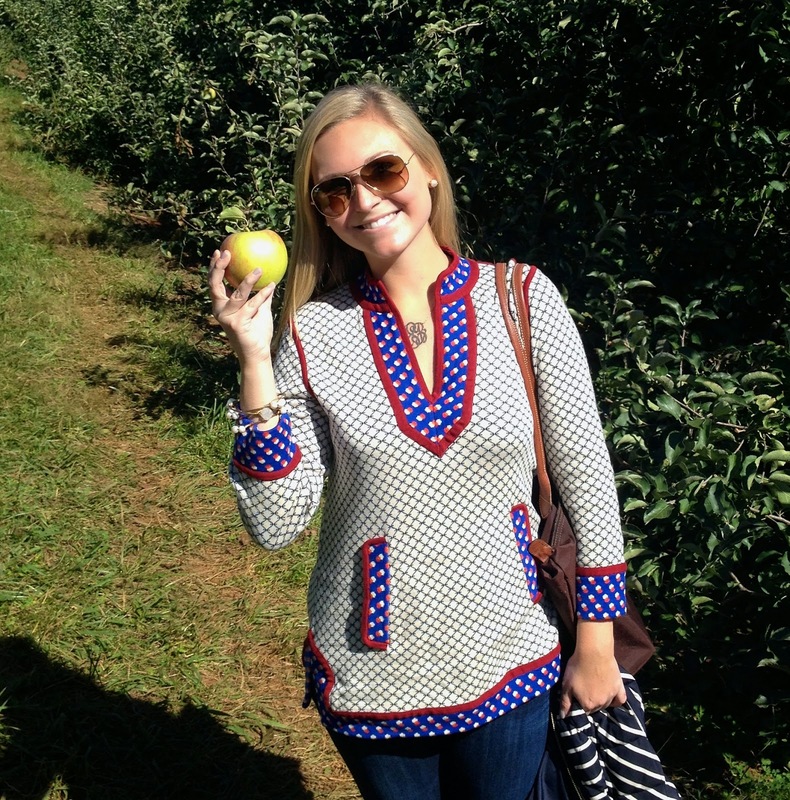 Apple picking and wine tasting sounds amazing! 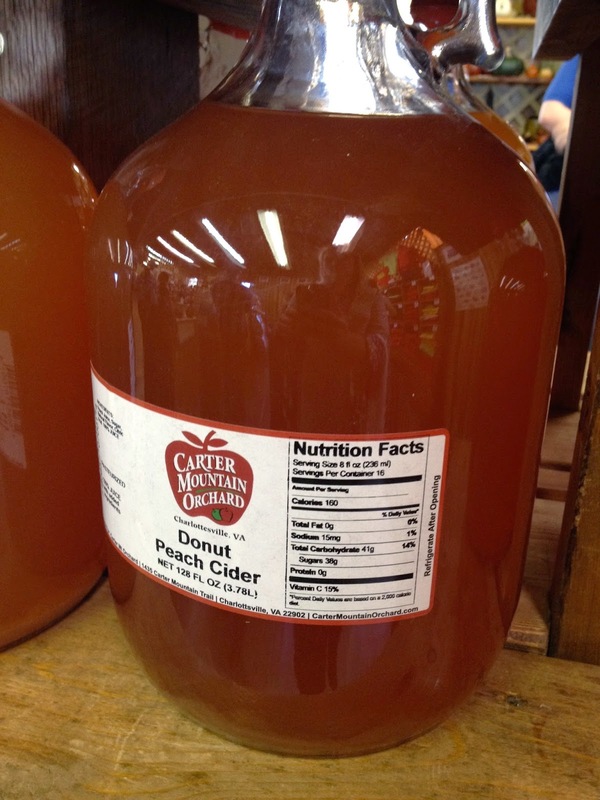 Apple cider donuts are the best- I'm hoping to get some this weekend. Sounds like a perfect fall day to me! King Family is one of our favorites too! Glad that you are feeling better! xoxo. ugh i am so jealous! 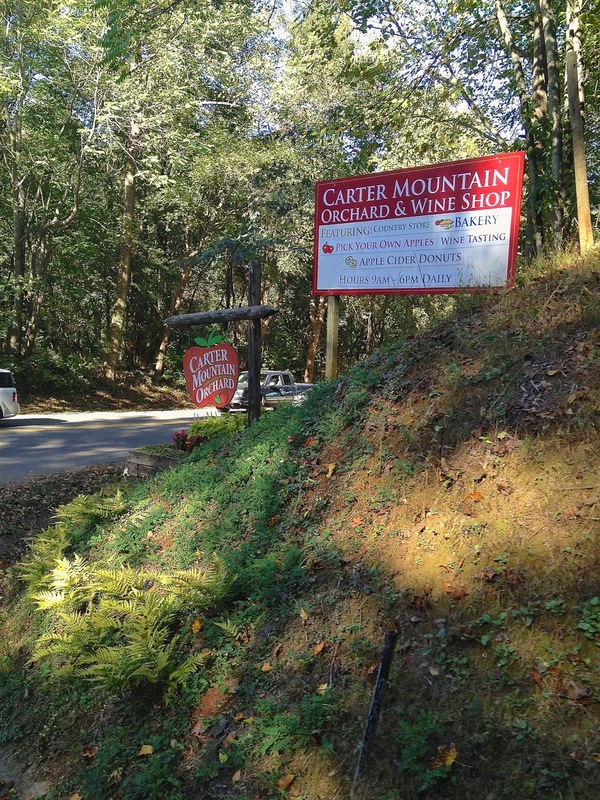 We adore Carter's mountain! I was able to show the boyfriend last fall and we frequently reminisce about it. You two are so cute! 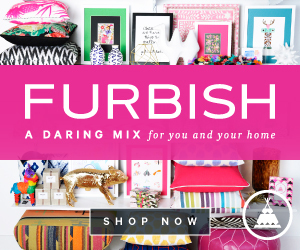 I am IN LOVE with your tunic! 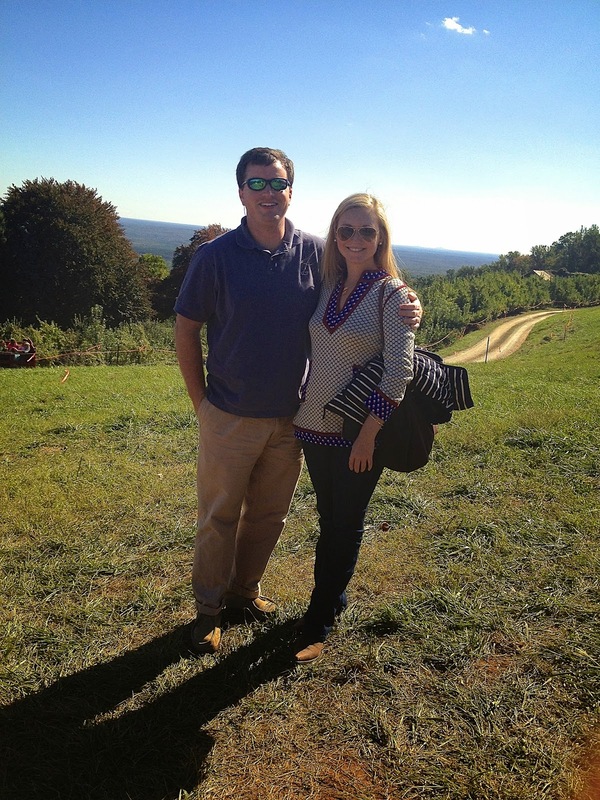 You cannot go wrong with apple picking and wine tasting! What a perfect day, and the perfect setting! What a fun date day! Glad you guys could have a fun fall outing. The picnic looks perfect!